In January, my colleague Ben Paulos published an article here about how community choice aggregation (CCA) is set to boom in California. Under CCA, communities without a municipal utility aggregate household power purchases, giving households new purchasing options on wholesale markets. Individual households can still choose between the new CCA offer and the old power provider. In California, CCA offers retail customers such customer choice for the first time. The first aggregator was not formed until 2010 in Marin County. Resistance came swiftly: the largest power provider in the state, PG&E, spent 46 million dollars supporting Proposition 16 that same year. If a majority of voters had supported the proposition, a two-thirds majority of citizens would have been required to attempt to form an aggregator within a municipality. 52% of voters opposed the proposition, and – embarrassingly for the utility – opposition was even higher within the area served by PG&E. At the time, both PG&E and the CPUC were losing public credibility. The press spoke of a “cozy relationship” between the two. When a gas pipeline blew up in 2010, both entities faced criminal charges; the commission was even accused of having paid off judges. A court found the company guilty in 2016, and the firm faces new charges this year. It allegedly told a gas provider to cut off supplies to certain households that had reportedly not paid their bills. (PG&E still handles the billing even when it does not supply the gas). The prosecution charges that the company was attempting to get households to switch back to PG&E after their competition had cut off supplies. This case is indirectly relevant for CCA because PG&E also handles the billing for electricity aggregators; the company could try the same tactic for power as well. Aggregators in the area serviced by PG&E now also pay “exit fees.” The Power Charge Indifference Adjustment (PCIA) covers any losses the utility incurs when retail customers switch to a community aggregator. For instance, the utility has signed long-term power contracts, but it may not need the full volume if enough customers leave. 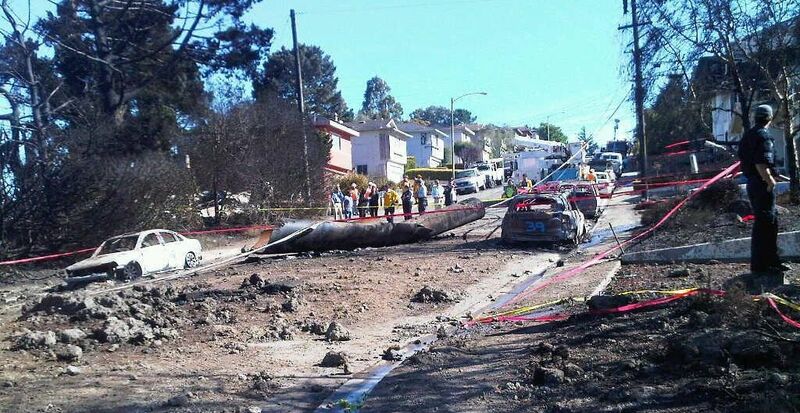 Theoretically, all utilities run this risk, but only PG&E charges them. The CPUC, California’s regulator, has new staff in the meantime that provide a greater distance towards PG&E. But its chairman, Michael Picker, remains skeptical of CCA, which he called “forced collectivization” that erodes the regulator’s role: the CPUC oversees investor-owned utilities; it cannot force community aggregators to comply, for instance, with state targets for renewable power. But the divisive CCA debate is already slowing down investments in renewables. And some CCA supporters still feel that the CPUC is biased, “favoring monopoly utilities against committee choice” (PDF). In the end, I was left with the impression that Californians lack trust in their institutions. After all, all of these issues theoretically apply in the six other states with CCA, but concern about CCA is great mainly in California. People don’t know who they can trust. The lack of trust in institutions worries me. As I recently explained, Americans tend to be individualistic, but we go faster and farther when we move collectively: the energy transition has to become a point of national pride. US-based climate scientist Kate Marvel recently wrote, “I have infinite, gullible faith in the goodness of the individual. But I have none whatsoever in the collective.” When collective efforts fail, as they currently are doing in the US, we question their very usefulness. But the biggest steps we can take in the transition for, say, mobility and heat will be in communities: walkable cities with district heat and renovation. The CPUC thus needs to trust that aggregators will comply with state regulations. A step in that direction was taken in February, when the requirement for grid reliability services was expanded to include CCA. In return, the aggregators need to trust the CPUC – and households need to trust the entire system. Journalist Ezra Klein recently wrote that America needed to unify over some domestic issue in order to overcome partisanship. He wasn’t sure what issue to propose, however. How about small-town, rural America supplying cities with homegrown renewable energy? Maybe CCA can be a step in that direction in California. The botched deregulation of electricity in California has left it with a confused and over-complicated system that few understand and fewer trust to do the right thing. In the UK, with the paradigm clean deregulation, consumers don’t like their suppliers, who keep changing their complicated offers. They trust the tightly regulated monopoly National Grid to keep the lights on, which it does. I’d like to hear from a Texas consumer, facing a very similar landscape. Next PostWill South Korea’s energy transition include nuclear?